You are the love of my life, my soul mate... Being with you feels so comfortable, almost as though I have known you for a lifetime, maybe longer. Seventeen-year-old Eliza Anceaux finds her soul mate in handsome John Barrett. but just as fate brings them together, it tears them apart when they both lose their lives in a tragic boating accident. Can their love survive even after death? Is the answer found over a hundred years later? When successful businesswoman Carolina Anderson meets Dr. Michael Sanford, they find themselves inexplicably drawn to one another—and unwittingly mirroring Eliza and John’s doomed romance. From the perfume Carolina wears to the accident that forces Michael to realize he cannot live without her, everything about their relationship is all too familiar. Will tragedy repeat itself, or will the star-crossed lovers free themselves from the grip of fate? This book was highly recommended by my local book club. It's a wonderful romantic story. If you are looking for a book that you won't be able to put down from start to finish Eye of the Storm will keep you spell bound. This is one of those reads that rely heavily on the reader's emotional state. If you are longing and craving for a deeper relationship, then this book will surely serve as an escape towards that journey in less than 200 pages. If you are just looking for kicks or poetic sentence scripting, then skip this book. This book seems to be about discovering the potential of love between two souls as seen or told through the lives of the characters. It will awaken your heart and expand your expectation. Whether this is a good thing or bad, ultimately depends on the reader's own wants. After reading this book, I discovered a deeper part of my heart which had been dormant. I heartily recommend this book, not so much as mastery of the language or crafty and witty storytelling, but as a real look into the kind of love that can exist between two souls. For that kind of hunger, this book is an emotional thriller. It was a small price for the ride. In my opinion, I found this book to be captivating and very well-written. I had a visual of every scene that the author described. This allowed the reader to escape into this love story and feel the true love between the characters. Wonderful story! A couple of caveats, for starters. 1) I'm a guy. 2) I don't normally read romance novels. A friend gave me a copy of Eye of the Storm, so out of politeness I glanced at the first few pages while at work the next day...and ended up reading every single word before going home later that same day (don't tell my boss). Yes, it is that good. 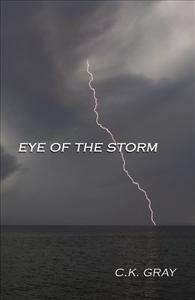 And yes, I would recommend Eye of the Storm to both male and female friends without hesitation, especially with the summer reading season fast approaching. Definitely a page turner. I enjoyed every minute spent reading this wonderful love story.